Swimming pool repair is just one of the services we offer to pool and hot tub owners in Concord. 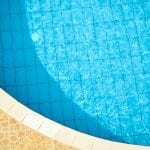 If your swimming pool isn’t keeping up with your needs, it may be time to bring in an expert for swimming pool repair. Having a pool is a great benefit that can help increase the value of your property while offering a fun place to splash around and exercise, but a pool with a broken pump, cracked liner, or other damaged component usually doesn’t get much use. You can always rely on our team of experienced pool technicians at Cayman Pool & Spa for swimming pool repair. This is just one of the services we offer to pool and hot tub owners in Concord, North Carolina. A few of the most common problems that require repair include cracked sides, broken motors, and damaged pumps. When the sides of the pool crack, the water can seep out of the pool, leading to water damage and waste. You will also end up spending more to heat the water, so it’s inefficient to keep using a pool with a crack in the side. The pump keeps the water at the proper level and maintains pressure, while the motor often supplies power to other necessary components, such as the pool sweeper or heater. When you contact us at Cayman Pool & Spa for swimming pool repair, we’ll start by diagnosing the problem with your pool. From there, we’ll come up with a plan to fix the issue and get you back to enjoying the water as soon as possible. We take pride in offering the best possible service to every customer who relies on us for swimming pool repair. At Cayman Pool & Spa, we offer swimming pool repair services in Mooresville, Concord, Cornelius, Davidson, Harrisburg, Huntersville, Kannapolis, Statesville, Troutman, and the Lake Norman area of North Carolina.